We work with agencies to create digital services that are simple, clear and fast to use. This is an exciting and challenging time to be involved in digital transformation. Digital disruption is changing the way we live, the way we work and the way we expect to interact with government. Our role is to lead the transformation of government services to efficiently deliver digital services that are simple, clear and fast. During the past 12 months—the first full year operating as the Digital Transformation Agency—we delivered on many fronts. In late 2017–18 we commenced the development of a whole-of-government Digital Transformation Strategy to achieve the Australian Government’s goal of becoming one of the leading digital governments in the world by 2025. By the end of June we had engaged directly with 30 government agencies, canvassing the views of more than 500 stakeholders, to develop and circulate the alpha (first) draft of the strategy for comment. The strategy aligns with existing strategies including for platforms, cloud and hosting, and digital identity. To further ensure that we are taking a holistic approach to the development of the strategy, we aligned the direction with other whole-of-government strategies including the Digital Economy Strategy. This will enable us to take advantage of opportunities as they arise more broadly and position the Australian Government as a globally competitive digital leader. We intend to deliver the strategy before the end of 2018. This work is supported by the development of a roadmap that outlines the journey for digital transformation over the next two years with a particular focus on service improvements for people and businesses. We develop whole-of-government platforms based on user needs. Agencies can use these platforms to transform the way they deliver their services so they are simple, clear and fast. Under the GovPass program we consulted with a wide range of stakeholders to update the Trusted Digital Identity Framework. This provides the foundations required for consistent, secure and reliable digital identity. We released the framework for two rounds of public consultation during the year and worked with partner agencies to lay the groundwork for piloting the digital identity platform in 2018–19. We continued to improve the myGov user experience including making myGov more accessible. This provides users more options to authenticate using the myGov Access mobile app, and makes it easier for users to regain access to their account without having to contact a service centre. myGov usage has increased, over 13 million accounts at the end of 2017–18. During 2017–18 we developed the foundational capability to connect more services into myGov, the National Redress Scheme. Our Digital Investment Management Office oversees and advises on government investment in ICT and digital services. Our advice assists agencies to set up and deliver their projects in the right way. During 2017–18 we had oversight of 84 projects (68 were active as at 30 June 2018) and provided strategic advice to assist decision-makers on proposed new investments. We engaged with 20 agencies and continue to monitor costs, benefits, risk and status to inform our advice to government. We improved our data collection and analysis capabilities to provide greater transparency and better advice to government on digital and ICT investments. Our sourcing program has been driving improvements in government procurement of digital products and services, while also making it simpler for industry to sell to government. Our aim is to achieve better value for government and major suppliers, provide more opportunities for small to medium enterprises (SMEs) and encourage competition and innovation. To improve procurement practices, we released the ICT Procurement Taskforce report and have been working to implement the 10 recommendations. For example, we co-designed the Digital Sourcing Framework for ICT Procurement, which is underpinned by policies, principles, guidance and tools to help agencies to be more informed buyers of digital products and services. We also released the ‘Capped Term and Value’ Policy and started developing the Panel and Fair Criteria Policies. Through the Digital Marketplace, we provided more opportunities for SMEs to compete for Commonwealth, state, territory and local government contracts—with 74 per cent of the 643 new opportunities awarded to SMEs. We also leveraged the government’s purchasing power to establish new whole-of-government arrangements with IBM, SAP Australia and Concur Holdings. Whole-of-government arrangements are now being worked through with Oracle. We work with agencies across government to build digital capability. In the past 12 months we trained more than 2000 Australian Public Service employees through various channels, brought in fresh talent by placing 135 new starters into 16 agencies through the Digital Entry Level Programs, and provided coaching and mentoring for 98 women in information technology, through the Women in IT Coaching program and Women in IT Executive Mentoring (WITEM) program. Through our partnership with the Australian Public Service Commission, we are improving access to digital training. In 2017–18 we developed a skills blueprint, identified 12 learning design standards and piloted training in user research, the first of these standards. We also supported the exchange of ideas through several communities of practice, workshops and guest speaker pop-ups, and through our engagement with agencies and industry. In addition, we encouraged innovation and tested thinking with projects such as a blockchain trial, which is exploring how we might securely and efficiently deliver government services in new and innovative ways. The Digital Transformation Agency has undergone significant transformation in the three years since it was established. Changes include a move to a new portfolio, establishment as an executive agency and an expanded set of accountabilities. The past year in particular has seen rapid changes in priorities, leadership and increasing expectations on what we can deliver. Throughout this time, staff have adapted and continued to work with enthusiasm and dedication to progress the government’s digital transformation agenda. I would like to take this opportunity to thank members of ‘Team DTA’ for their commitment and support. 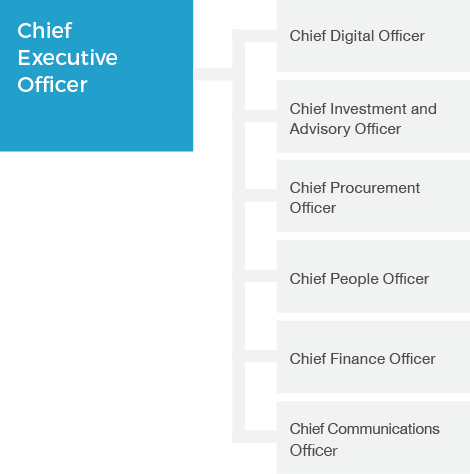 Having the opportunity to act in the DTA CEO role for two months, I was pleased to be able to return to the role permanently to shape and deliver on the government’s ambitious digital transformation agenda. Our path ahead is clear. In the coming year we will focus our resources on the highest priorities—the Digital Transformation Strategy and Roadmap, myGov, Digital Identity, our platform and hosting strategies, transforming ICT procurement, driving innovation, and building capability across government. Australia is a recognised leader in eGovernment—ranking second in the United Nation’s eGovernment development index, just behind Denmark.2 We can’t stand idle though. To deliver on our mission, we must constantly review our priorities in the context of our current and future operating environment, and engage and learn from our domestic and international counterparts. Australia needs to seize the opportunities and adapt to challenges of digital transformation. The Digital Transformation Agency is helping government do this to ensure that the experiences people and businesses have in their interactions with government are simple, clear and fast. In 2017–18 we worked with stakeholders across government and industry to deliver simple, clear and fast digital government services, to build capability and to improve return on digital investment across government. People are at the centre of everything we do and we work with agencies to create digital government services that improve their experience of dealing with government. We provide strategic and policy leadership on whole-of-government and shared ICT and digital services, including digital and ICT procurement policy. We deliver policies, standards and platforms for whole-of-government and shared ICT and digital services. We build Australian Public Service ICT and digital capability through programs that support the introduction of new talent and reskilling of current staff. We also coordinate funding for whole-of-government and shared ICT and digital service delivery platforms, oversee significant ICT and digital investments through a whole-of-government ICT program management office and advise on whole-of-government and shared ICT and digital service delivery proposals. Our functions are formally set out in the Public Governance, Performance and Accountability Amendment (Digital Transformation Agency) Rule 2016. Develop a digital transformation roadmap to allow the government to identify and fund the digital transformation initiatives that will have the greatest impact on user experiences. Deliver and improve digital platforms to save money, improve the experience of government services and increase familiarity with government digital systems. Oversee and advise on ICT and digital investment to make sure investments are delivering value for users and for the government. Transform ICT procurement to support best practice, inclusive markets, good working relationships between buyers and sellers, and modern, streamlined ways of doing business. Build Australian Public Service ICT and digital capability by partnering with agencies to raise the level of digital skills across the public service, reduce design and delivery risk, and encourage innovative thinking. We are a small agency originally established in 2015 with the enthusiasm of a start-up. We were tasked with extra oversight responsibilities in 2016. We aim to promote innovation and targeted disruption while at the same time operating effectively within government. We support all Australian Public Service staff to build their capabilities and encourage them to work towards their career goals. This allows us to improve the capability of the public service and support the government both now and into the future. During 2017–18, we had six groups covering digital services, ICT investment, ICT procurement, finance, people and communications. Details about our organisation and our senior executive are included under Corporate Governance in Chapter 3. We work with stakeholders across government, industry, academia and the general public to challenge and change the way services are traditionally delivered. We do this to keep pace with user expectations and improve their experiences, and to maximise opportunities in the rapidly evolving digital environment. Our partnerships help us lead and guide change across government agencies towards a common goal, and embed digital thinking at all levels of the Australian Public Service. Our partnerships range from providing short-term specialist skills, support and training to longterm partnerships to deliver major new digital services. We also lead communities of practice, manage in-house product delivery teams, and build agile delivery teams inside other agencies. As we are committed to improving people’s experience of government services, we regularly do research with the people who will use these services, and user testing through both private and public trials with users. The Digital Transformation Agency was established on 27 October 2016, expanding the role of the former Digital Transformation Office. This change strengthened our role and broadened our functions to include oversight of major ICT and digital investment as well as the original mandate to lead the transformation of government digital services. We are an executive agency within the Prime Minister and Cabinet portfolio. For the first half of 2017–18, we were accountable to the Assistant Minister for Cities and Digital Transformation, the Hon Angus Taylor MP. From 20 December 2017, we were accountable to the Minister Assisting the Prime Minister for Digital Transformation, the Hon Michael Keenan MP. Digital transformation is a global phenomenon. Australians are more mobile and connected than ever. New markets and jobs are emerging that did not exist just a few years ago. The Australian Public Service needs to adapt and the DTA has been tasked with digital transformation across government. Change is happening quickly and we need to position ourselves to respond. User expectations—People expect government services to be as easy to access, simple to use and as reliable as those in the private sector. They want to interact with government as a whole, using channels that suit them. These expectations are increasing, and the gap between government and non-government services is widening. We are working with agencies to reduce this gap. Return on investment—The government makes a significant investment in ICT goods and services every year. A more coordinated and collaborative approach can deliver efficiencies and value for money, including platforms that can be reused across government. By overseeing ICT investment, and working with agencies on procurement reforms, we are helping to reduce risk and deliver products that deliver real benefits to users. Innovation in service design and delivery—The complexity of policy and regulation can affect service delivery and innovation. However, it is important to work in innovative ways, design services that reflect user needs and apply smart, efficient technologies. This can help address previously unsolvable problems and reduce the gap between government and non-government services. We are supporting collaboration between agencies and with industry to focus services around real life events, rather than government structures, to better meet the needs of users. Improved data collection and analytics will also help to improve services. Australian public service capability—To keep up with user expectations, government agencies need to attract, retain and develop staff with specialist digital skills, improve digital literacy among senior leaders, and give people the tools and resources they need to deliver better digital services. We are helping to build an innovative, curious and digitally savvy public service. Design and delivery process—We support agencies to use the Digital Service Standard that applies to all public-facing government digital products and services. This includes a four-stage process that helps teams to learn fast and create services that efficiently meet user needs. The four stages are discovery (research), alpha (testing hypotheses and building prototypes), beta (trialling prototypes) and live (making platforms available and continually improving). Our Portfolio Budget Statement 2017–18 describes our outcome and program structure. To improve the user experience for all Australians accessing government information and services by leading the design, development and continual enhancement of whole-of-government service delivery policies and standards, platforms and joined up services. The objective of this program is to support agency delivery of high volume services, build and contribute to whole-of-government platforms and increase capability of the public service to deliver digital transformation. Our Corporate Plan 2017–21 described how we planned to achieve our intended outcome and also went further to refine our purpose, reflect our expanded responsibilities and clearly articulate our priorities (see Figure 2). Details of our performance against our Portfolio Budget Statement performance criteria and Corporate Plan success measures are in our Annual Performance Statement in Chapter 2. We began collecting baseline data this year and expect to be able to report on trends in coming years. We will continue to demonstrate our performance delivering against the government’s priorities by measuring, and clearly aligning our Portfolio Budget Statement, Corporate Plan and the activities of our people. The service design and delivery process has four stages: discovery (research); alpha (testing hypotheses and building prototypes); beta (trialling prototypes); and live (making platforms available and continually improving). This index was released soon after the 2017–18 reporting period, in August 2018. An overview of the 2017–18 Annual Report.